The Nigerian Network Operators’ Group (ngNOG) Workshops & Conference is the foremost capacity-building activity of ICT personnel and other stakeholders in Nigerian Higher Education. More than 800 network engineers, managers and librarians have been trained at ngNOG. Unlike previous editions which have been hosted by Universities, a Polytechnic, and an Education regulator, the eleventh annual edition of ngNOG was hosted by the Nigeria ICT Forum secretariat at Hotel Reno, Katampe, Abuja from 01st – 05th November 2016. A one-day Conference held at the Rockview Royale Hotel, Wuse Abuja on Monday 31st October, 2016 to start the week officially. 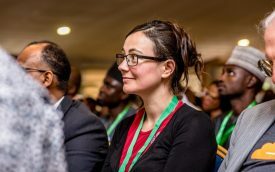 The ngNOG Conference had a total attendance of 200 people from Tertiary Education Institutions, Government agencies, ICT companies, and other sectors. The full-day event had panel sessions, lightning talks, presentations and engaging question and answer sessions. American University of Nigeria, Yola and Dr Amina Idris, Acting Director, National Board for Technical Education Center of Excellence for TVET, representing the NBTE Executive Secretary. The second panel session was on Internet Infrastructure- What the traffic rides on. How is Nigeria really doing? 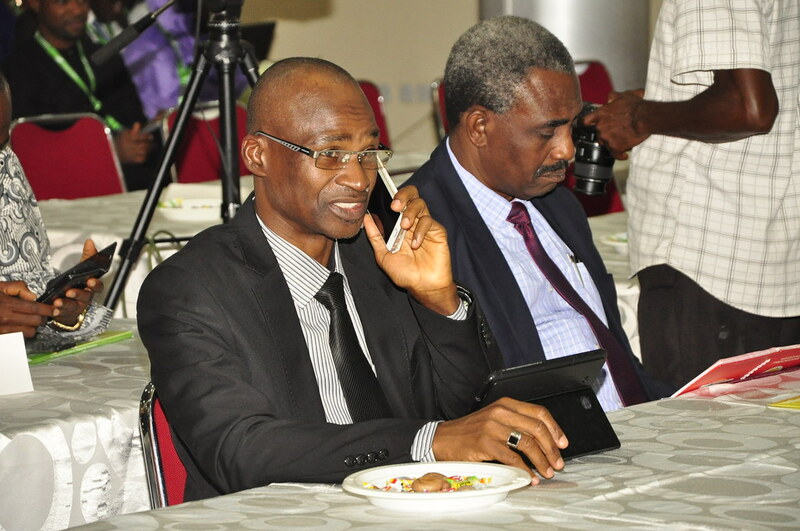 with Dr Yusuf Kazaure CEO, Galaxy Backbone Plc , Rev. Sunday Folayan President, Nigeria Internet Registration Association , Muhammed Rudman CEO, Internet Exchange Point of Nigeria , Mr Ahmed Atere CEO, MEED Networks , Mr Joshua Attah Managing Director, Nigeria Research & Education Network as panelists. The third panel session was on Internet Governance, Naming and Number Resources. Who is responsible for what? How it affects everything elsewith Rev Sunday Folayan (NIRA), Mr Adewole Ajao Bandwidth Consortium , Mr Seun Ojedeji Federal University Oye Ekiti and Mrs Mary UdumaNigeria Internet Governance Forum as panelists. The discussion sessions following each of the presentations and panel sessions were very engaging and received plenty of positive feedback from delegates present. 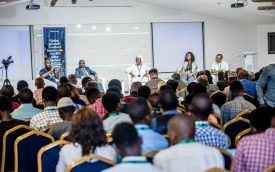 The conference presented top level executives and other stakeholders with an opportunity to express and appreciate the opportunities and challenges in play as well as share insights on how to improve the state of Information and Communication Technology in Nigeria. The workshop had 64 participants from 32 institutions/organizations in four tracks that ran concurrently. As part of efforts to prepare the next generation, 10 undergraduates and fresh graduates were engaged as interns to support the workshop and also take part in the training. The System Administration(SA) track participants performed hands-on virtualization, system installation, file system management, handling system boot procedures, user administration, process management, services and server installation & management, back-ups and remote logins with Ubuntu Linux as the operating system of choice. The Internet Services track (IS) focused on the design and operation of services running and deployed on networks, with emphasis on scalability and improving service delivery. Sample services covered include DNS, Email, Voice over IP, Authentication, Network monitoring and Virtualization on Linux platforms. The Internet Infrastructure track (II) was aimed at Internet Protocol Networking; Basic routing; OSPF routing; BGP routing; Management of router configuration; NOC (Network Operations Centre); Internet Exchange Points between networks; Network Security. Network Monitoring and Management tools which include cacti, Nagios and LibreNMS, Basic Wireless infrastructure and Security. Web server management, applications development, content management systems, learning management systems, content developments (animations, audio editing, video editing etc) were areas of focus in the Application and Content Development track (ACD) . To make the most of the time together, evening sessions held daily after dinner with most participants in attendance. The business of registering .ng domains was the topic for the first day. Feedback on the Internet Society, ISOC Introduction to Network Operations online course had positive reviews from participants who expressed enthusiasm and appreciation to ISOC. A presentation on Ganeti server clusters was made on day two by Abubakar Mohammed of NIRA. The last evening session featured two presentations on Moodle for Computer-based testing by Makinde Matthew and Google Apps for Business by Obaniyi Oluwatoba. 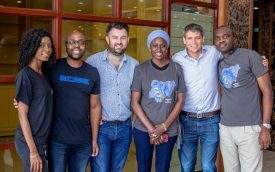 The ngNOG 2016 was a success through partnership and support from Acti-Tech , AfriNIC , Bandwidth Consortium , (BWC) , Google , Internet Society (ISOC) , Layer3 , MEED Networks , Nigerian Communications Commission (NCC ) , Nigerian Internet Registration Association (NIRA) ,Nigerian Research and Education Network (NgREN) , NISTECH , Technology Times . On behalf of the ngNOG Admin, we wish to express our appreciation to all the Instructors, conference presenters, interns, local and international partners for their support in cash and in kind towards the success of the ngNOG 2016 event. The Nigeria ICT Forum of Partnership Institutions expresses special appreciation to all the organizations that made it possible for their personnel to attend the full week of training either as instructors or as workshop participants. While we look forward to regional events in the coming year, we remain fully committed to applying the lessons and insights from the national event to the growth of Internetworking and ICT in Nigeria.